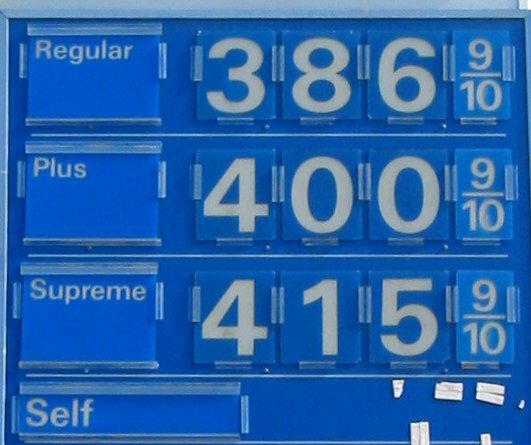 Oregon’s gas prices, consistently ranked in the top four in the country, seem to be set for a major price reduction along with all others in the country. “A national survey says the average price of a gallon of regular gasoline has dropped another 9 cents over the last two weeks, to $3.37, bringing the decline to 34 cents over the last 13 weeks,” a recent USA Today report stated. Reasons for the drop in price include the decreasing price of ethanol and the lowered cost of production for winter gasoline. The national average gas price has reached a seven-month low, and the Oregon average price has reached a five-month low. States bordering the Pacific Ocean – Alaska, Washington, Oregon, California, Hawaii – have the highest gas prices in the country. Drivers in all states except for Washington, Oregon, Colorado, and Nevada are paying less for gas than they were a year ago. AAA is also predicting gas price decreases. “Gas prices most likely will average slightly less in 2014 as refineries continue to expand production capacity and increasingly rely on North American crude oil,” a year-end AAA post stated. “Gas prices should average slightly less in 2014 if everything goes as expected, but most drivers may not even notice because the difference could be relatively small,” AAA spokesman Avery Ash said. Though gasoline prices are predicted to continue dropping and remain relatively flat for some time, the price paid at the station may not decrease noticeably due to increasing taxes.